Learn, Experience, and Explore Japan! Get ready for an experience that will grow your sense of independence and expand your worldview. When you study abroad in Japan, you will learn about the history and traditions that are engrained in everyday life. In this immersive experience, you’ll learn what it’s like to be a student in Japan, improve your Japanese language skills and gain confidence in your ability to navigate the world! Ayusa Japan Abroad offers a variety of program types and lengths. There is a program for everyone! Attend intensive Japanese language classes: Classes are 3 hours each day, Monday through Friday and are taught by Japanese instructors to ensure quality instruction. Experience Japan first-hand: Two to three afternoons each week, students will experience a sampling of traditional and modern Japanese culture through organized activities. Activities include: visit to Akihabara, Fuji-Q Highland Amusement Park, practice the art of calligraphy, see the Buddhist temple of Asakusa, and more! To learn more about the summer program or request additional information, visit Ayusa Japan’s website! The family is the foundation of Japanese society and is bound together by a strong sense of reputation, obligation, and responsibility. Meet Japanese teenagers in class or participating in activities such as sports, music, or other school-related clubs. 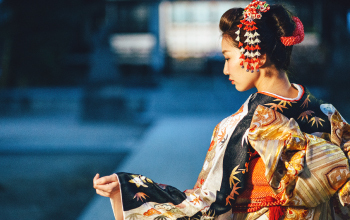 See how the mix of Western and Japanese influences can be found across all aspects of life, including sports, fashion, and other activities. Learn the difference between the school systems in Japan and the U.S. In Japan, students stay in the same room for each class and usually do not take many electives. This helps integrate students quickly into the class community. The Japanese school system tends to be more rigorous than its U.S. and Canadian counterparts. Rules are often a bit stricter, like requiring students to wear uniforms. To learn more about the high school program or request additional information, visit Ayusa Japan’s website! 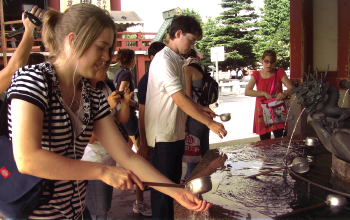 Ayusa Japan Study Abroad students are placed with carefully selected host families throughout the country. Throughout the program, students will receive support and guidance from a local representative.